A special thanks to the AGS community--you folks rekindled my drive to make indie games and were there to help me do it. I'm already thinking about my next AGS game. 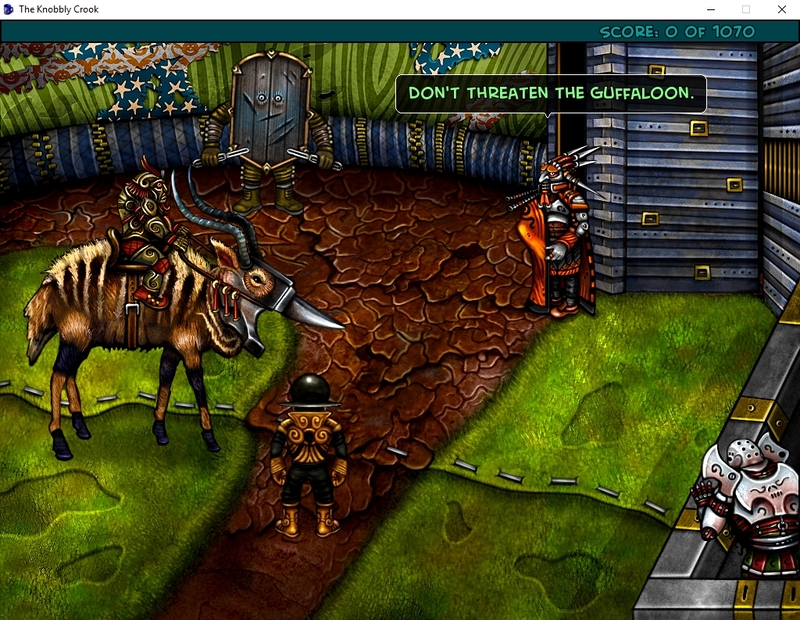 Description: Enter the surreal, disturbing, and ridiculous world of the Knobbly Crook in this old-school point and click adventure. O'Sirus the Snip is a simple paper farmer driven to epic adventure by a spooky face with a spookier voice. He will ultimately seek to become a Knobbcrookian royal guard–a Guffaloon. Stories of their heroic battles against the fearsome Bogold empire echo throughout the Crook. Unfortunately, they’re not currently recruiting simple paper farmers. He’s going to have to use every dirty trick in his book to cheat his way to the top and that means YOU will need to understand the key elements of the Knobbly Crook - Rock, Paper, and Scissors. Creatures of stone crush the metallic Knobbcrookians. The Knobbcrookians herd and farm paper animals. Fearsome stone giants fear tiny paper animals. Join O'Sirus as he's on trial for all the crimes the two of you have not yet committed. Retell his nonsensical story as his journey begins, finding himself a stowaway on a ship that is half horse, half boat, and half whale. Every moment that passes takes you further from your goal--the Knobbly Crook. It's up to you to torment the Drafthorse's unsuspecting crew in an attempt to alter their course. And then your real quest--to find a quest--begins on the shores of the Knobbly Crook. 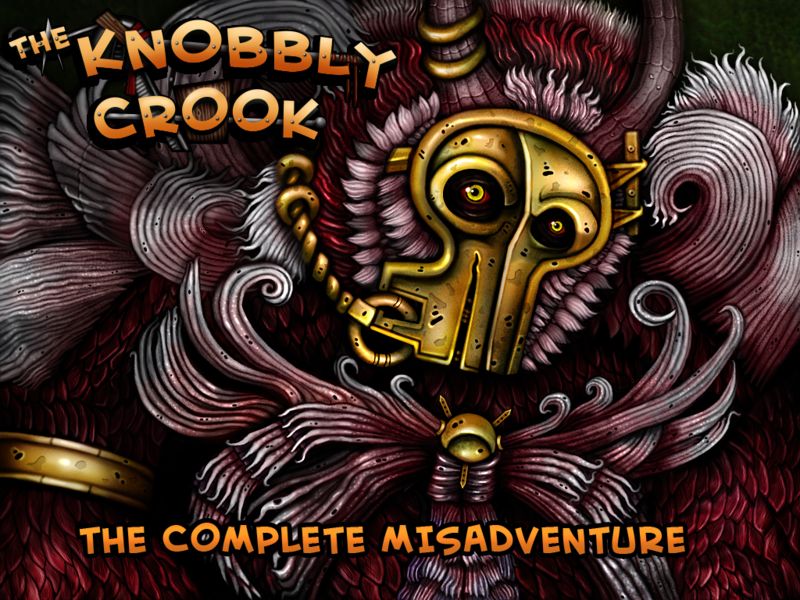 The Knobbly Crook now contains the complete misadventure from start to finish. Note: I tried to update the AGS game page for this one but it tells me I don't have permission when I submit. I see Bavolis in the permission list and I'm logged in, so I'm not sure where it's having issues. Yay! Extremely generous that this fantastic adventure game is free. Are you going to put it on Steam too? Are you going to put it on Steam too? I am, but it's been a while since I submitted to Steam, so I need to see what changed. Ideally, I would overwrite Chapter I with the full game, but I'm not sure how much they'd like that. Ivestigating! My gosh, 2 giga?!? It's huge! I was surprised to see it that large too. It's a 1024x768 high color game with a lot of big backgrounds and full voice for thousands of lines. Not sure if there's something I can do to reduce the size without losing quality. Not sure if there's something I can do to reduce the size without losing quality. One easy option is having a separate Windows and Linux edition instead of having both of them in the same archive. Ahah! I see what I did now... I seem to have a duplicate of the data in there. That should cut the size by half! Updating! Congratulations! The game looks awesome, I'll be checking it out! Hey, congratulations on the release! Looking excellent, as it always had. Will be definitely checking this one out. Congratz on getting this massive project finished!!! Congrats on the release! I liked the first episode, good thing you completed the game. Putting on moderator hat: Please create a new database entry for the full game. Otherwise, the download stats, nominations, links from extern etc. would be messed up. Additionally, if you add a new entry, you will be able to participate in the AGS awards 2018 with the game. To make it clear that the full game was released, you can edit the page of chapter 1 and add a note and link to the full game. I have no idea why you cannot update the entry yourself, it looks alright to me. However, I can update it for you, if you want. Congrats on the release! I liked the first episode, good thing you completed the game. Putting on moderator hat: Please create a new database entry for the full game. Otherwise, the download stats, nominations, links from extern etc. would be messed up. Additionally, if you add a new entry, you will be able to participate in the AGS awards 2018 with the game. To make it clear that the full game was released, you can edit the page of chapter 1 and add a note and link to the full game. I have no idea why you cannot update the entry yourself, it looks alright to me. However, I can update it for you, if you want. For some reason, my text replies show up as empty fields most of the time now. Strangely, I was able to post the thank you below, but any other reply I type will end up wiping out my text and saying I left the field empty. I've tried editing this reply several times because it just shows up as a quote and nothing else to me. Trying again today! Looks like the problem above may be resolved! Cat - thanks for the advice. I added the game to the database and put a link on the Chapter I entry. 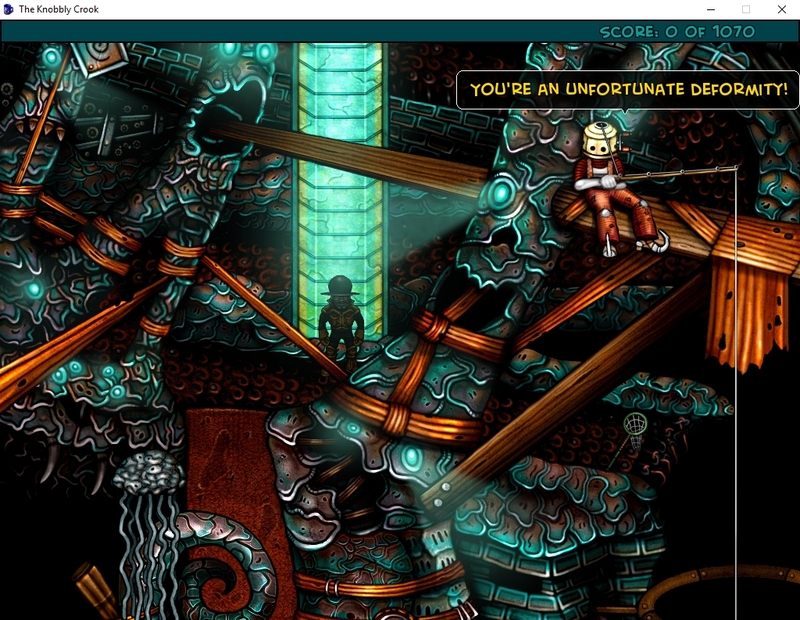 A masterpiece of adventure gaming, and overcoming the daunting tasks involved. Beers are on me! I'm currently prepping a patch for a bug, but I thought I'd warn you guys if you're playing the game yet. When you challenge Muz the Bind to a match of Rock, Paper, Scissors, make sure you save first. If he beats you, you're going to be stuck with no UI and your autosave is going to be useless. Whoops. The current work around is TO WIN. Muz takes this game very seriously. This looks amazing. Congrats on the release and for being so shiny! Thank you! Must have more shine. Perhaps a patch with another layer of wax! I've been playing this game a bit at a time and really enjoying it. A bit of a strange experience for me because I would usually just keep playing through when enjoying a game but this one doesn't make me want to do that for some reasons. I'm finding that this is a world I am intrigued by but enjoy best in smallish doses and get tired out a bit by after playing for about 20 minutes. Don't get me wrong. I totally love the game world but the sensory overload with the graphics, and learning about the ingame world history a bit at a time is enough for me in short bites. This will always be a game I will come back to because it pulls me in, but I'm finding that quick bites now and then are enough. If you are in doubt, you can get an old savegame and try and open it. I'm OK with that! I don't usually play through adventure games in long sittings unless it's something less puzzle and more drama (like Telltale). My art style is also pretty chaotic, so you have to give the eyes a rest! It doesn't seem to crash the old files, I just worry about the fringe cases with specific actions complete, etc. As an old(ish) fart trying to keep up with the rapidly-expanding indie scene - does anybody have advice on how to get more people to try this game? I get a few players trickling in per day, but given that it's a full game and 100% free, I was expecting a bit more traffic. It doesn't impact me financially at all since it's freeware, but it did take 5 years to make and I'd like people to see it. I think my biggest mistake was updating the old version on Steam rather than launching it as a new game since it still shows the old release date. I am terrible at self-promotion--any words of wisdom? I have it up on Steam, IndieDB, GameJolt, and Itch. GoG said it's not the type of game they host. I'm still wondering if I should have sold it for $1.99 just to get more buzz as a "real" game. Learning for the next AGS game (announcement coming once I have a second room done). I am terrible at self-promotion--any words of wisdom? Maybe try to get Dan of Game Grumps to play the game on YouTube? He likes point-and-click adventure games and has played them on the Game Grumps YouTube channel in the past. It's a long shot but couldn't hurt to send him a message. GoG said it's not the type of game they host. Seems like exactly the type of game that GOG hosts, so it's weird they'd say that. Did they provide any details? Learning for the next AGS game (announcement coming once I have a second room done). Yes! Definitely looking forward to the announcement. Thanks for the tips! I'm going to contact these people. On the GoG thing - It seemed to me they didn't like that it was a free game. I suppose it could also be the weirdo style feels more "garage" than "professional"
I stopped asking why Gog put certain games on their store but not others. No logic behind it. The AGS Awards "For Your Consideration" thread is coming up soon, I'm sure. That's at least one place to push the game (though of course limited in reach to this community). @Snarky Thank you for the reminder! An award nomination or even win will definitely give the game some attention, usually a few people blog about it at least. The "For Your Consideration" thread is the first step to get there. 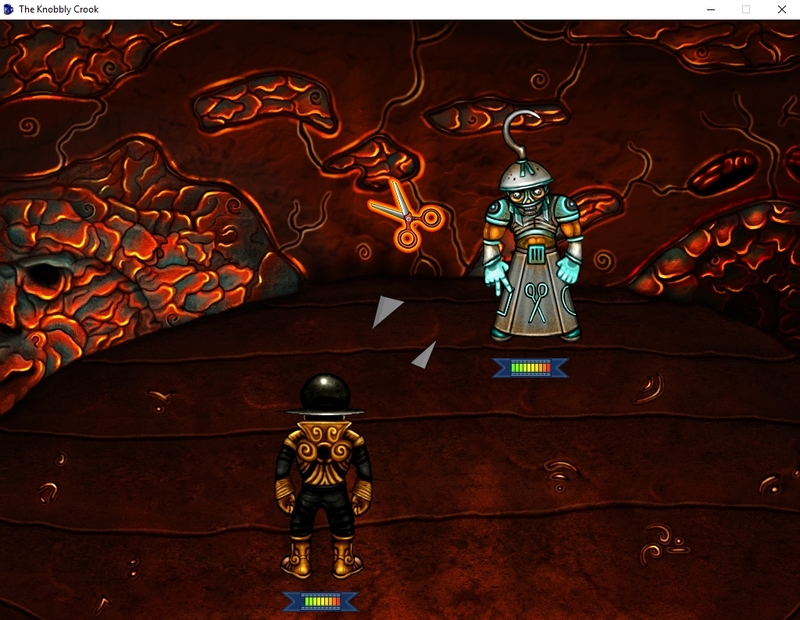 It's too late for this game but lots of indie developers share their progress on Twitter while working on the game. Similar to updating a WIP thread on the forums. Even though the game is finished, posting about it on social media wouldn't hurt. Yeah, I've been posting on twitter about it since the beginning under my personal account. I probably should have set one up for just the Knobbly Crook.